We announced IBM Cloud Data Shield experimental in November 2018. Since then, we have been hard at work helping our early adopters (Irene Energy and iExec) develop their Zero Trust platforms and building the next version of Data Shield. Today, we are excited to announce Data Shield beta! 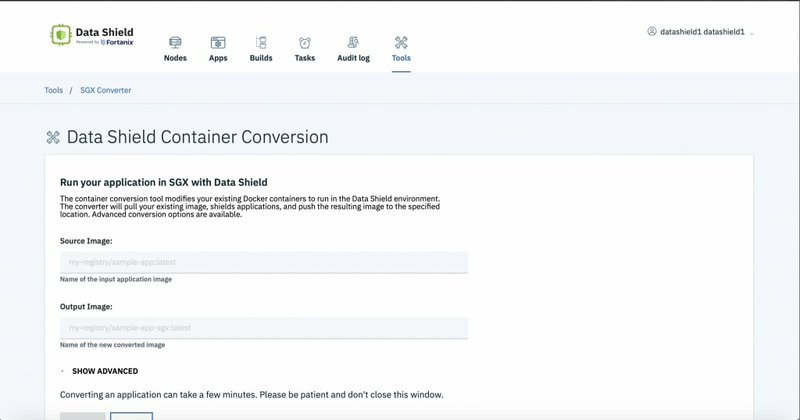 Data Shield, powered by Fortanix, provides data-in-use protection for your container workloads running on the IBM Cloud Kubernetes Service. It leverages Intel® Software Guard Extensions (SGX) technology to run code and data in CPU-hardened “enclaves” or a Trusted Execution Environment (TEE). The enclave is a trusted area of memory where critical aspects of the application functionality are protected, helping keep code and data confidential and unmodified. Data Shield provides DevOps tools that integrate with your existing build pipelines to convert your container images to shielded (Intel® SGX) counterparts with little to no code changes. It runs on the IBM Cloud Kubernetes Service to bring scalability and high availability to your sensitive workloads. 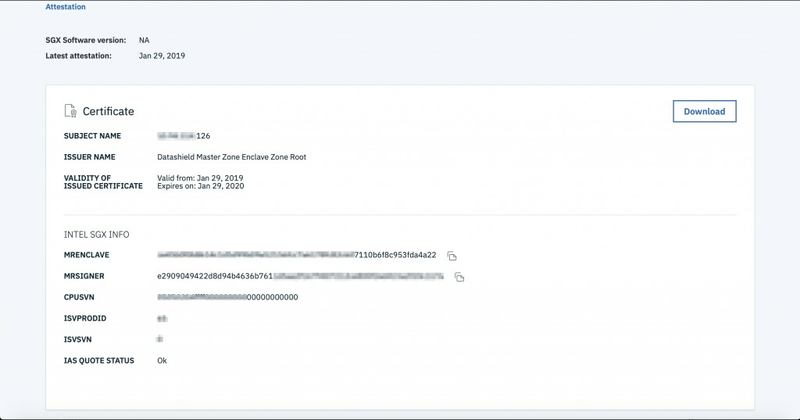 You can now start your Data Shield journey with the IBM Cloud docs. The “Getting Started” tutorial presents you with steps to get an application protected with Data Shield. The documentation also gives you simple steps to install and manage your Data Shield instance. 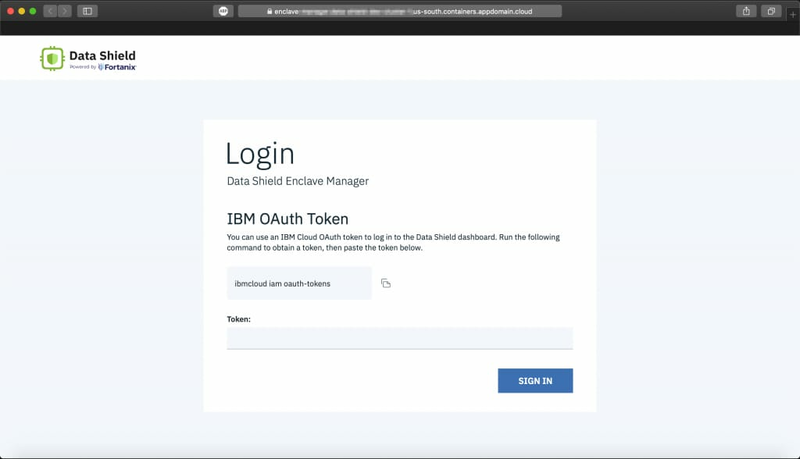 You now also have an option to install Data Shield either through native Helm commands or the provided container to install Data Shield to your IBM Cloud Kubernetes Cluster. 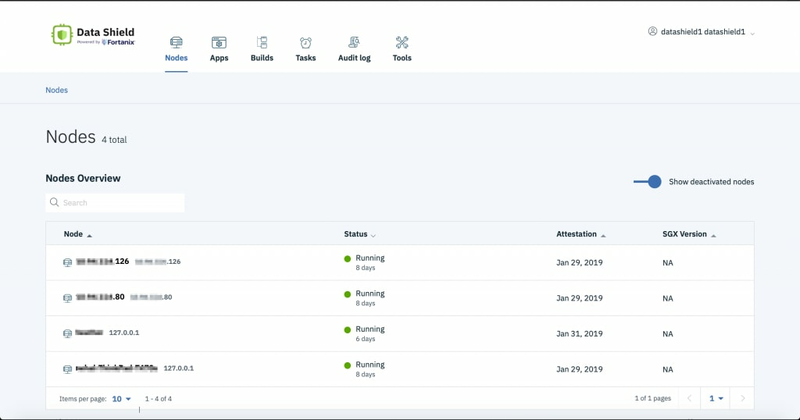 Data Shield UI and APIs are now exposed through your IBM Cloud Kubernetes Service cluster’s ingress and TLS enabled. It is also integrated and secured through your IAM tokens. NOTE: Users with multiple IBM accounts, please make sure you are logged in with the right IBM account where you installed your Data Shield instance. The new and redesigned Enclave Manager UI brings focus to the things that matter most and presents you with the controls to manage your shielded applications deployed on Data Shield. 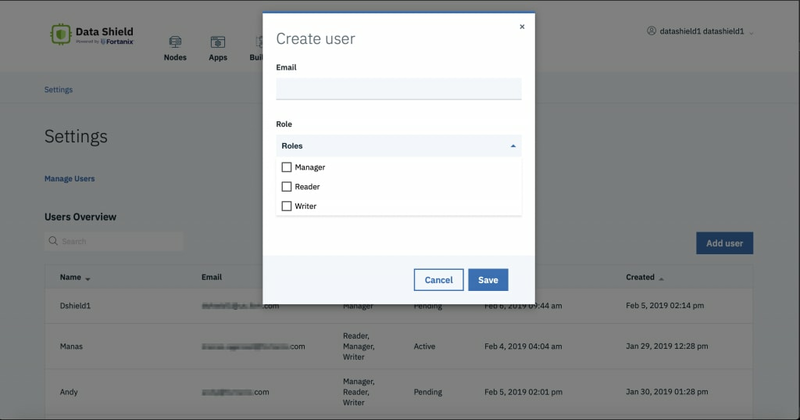 The UI now enables you to add users with roles scoped to your instance of Data Shield—manager, reader, writer, or a combination of the three. 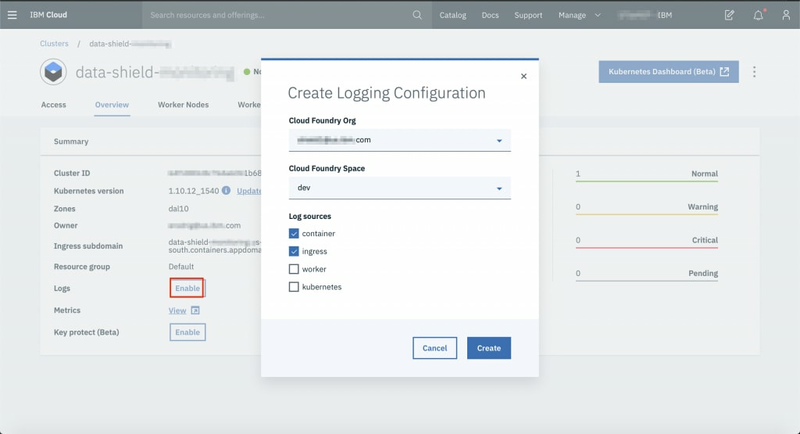 Finally, all your logs from Data Shield are seamlessly exported to IBM logging service. You can enable it in your cluster’s landing page. All these new features will further enhance your overall user experience with Data Shield while bringing you our industry-leading runtime memory encryption technology. To request a demo, get a Slack invite for the Data Shield workspace, or ask any questions, please email shield1@us.ibm.com.